The Pyle PBJ60 five-string banjo features the classic, traditional-style binding design. The rich wood and high-gloss finish is accented with white jade machine head tuner key pegs and chrome-plated hardware. Constructed from quality components including REMO M1 drumhead, rosewood fretboard and shabili wood body. It's designed to sound as good as it looks! The player will share the reminiscence of the iconic upbeat banjo tone with the style we've learned to love. 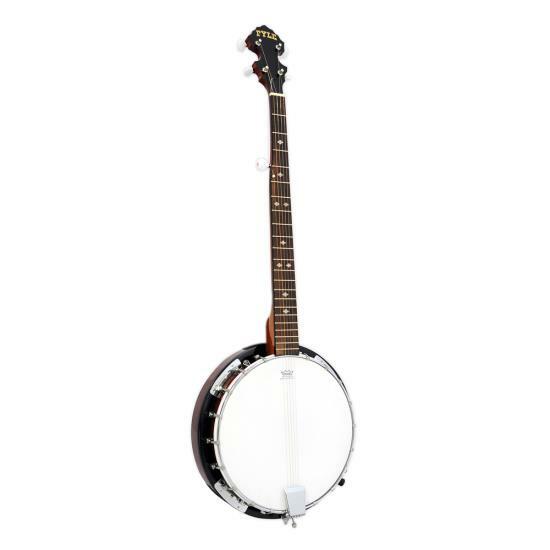 Enjoy classic banjo sound and style with the Pyle PBJ60. Review : Received the banjo as a gift. I am a novice at banjo. Looks very nice, but was disappointed that there was no instructions provided in the box that the banjo was in. Found owners manual online, but it was only partially helpful. Copyright © 2019 Pyle Audio. All rights reserved.